Looking to convert EMLX to EML for Windows Live Mail to get your Mac Mail data into a backup file using a generic EML format? You are looking at this the wrong way. Here’s what you should do instead! The major reason to convert EMLX to EML is either to backup Apple Mail data into a generic file that can be used later to restore data in any email client or program because EML is compatible with most. Or to simply migrate data to clients like Windows Live Mail. If that’s your goal, you have come to the right place. But you are looking at this the wrong way. Most email migration processes involve data files, like EMLX, EML, MBOX, or any other. It’s a conventional way to transfer data from one place to the other. There are other ways to, especially regarding email data (like using an email account as an intermediate to sync data using servers), that do not involve manually getting your hands dirty with raw files inside the profile database directories. But all of them are intimidating for a basic user. But today we are going to let you in on a secret. If you want to get your Apple Mail data into EML files, forget about EMLX files. EMLX is a file that Mac Mail uses to store email messages, one file for each email. But it’s function is more to let you access emails quickly and make your index searching faster. Using those same files to migrate data or convert to other formats isn’t ideal, even though commonly accepted. Converting EMLX to EML files is not how experienced users or experts move their Apple Mail data. What they actually do is use a professional software utility to directly target their profile database automatically, instead of manually digging their heels into it. There are few obvious benefits of that: it is much easier and quicker. But a large portion of those experts specifically target this approach because of the significant improvement in data precision. In fact, if a software solution is well-developed, it’s the only way you are going to get 100% data precision. It is natural that if you are going to use a software to convert your database directly and not trade files with hands one by one, your accuracy of the output files with skyrocket. But the problem here comes which converter can do that, and if its’ accessible to common users, if its affordable, and so on. Good news: USL Software brings to you exactly such a solution. You can download it right now and use it like any other application, thanks to its smart UI that is purely intuitive and straightforward. It has two options to “load” your data: you can either select autoload that gets your Apple Mail primary profile folder or you can choose to select any backup database folder you may want to convert. Neither of those options require manually loading EMLX or any such files. What you get in the end is the fastest Apple Mail to EML conversion with 100% precision, where all your complex data parts, like images, attachments, Unicode text, metadata, MIME headers, and nested emails are perfectly converted, without losing the details. You cannot get the same level of precision by converting EMLX to EML. Most of the converters for that solution are heavily flawed, not just making it hard for you to convert the files, but even after spending hours on end, they don’t offer the standard of accuracy that’s acceptable. 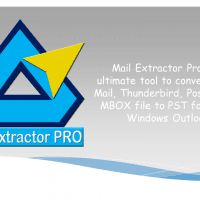 All of that is avoidable, if you use this tool from USL Software, called “Mail Extractor Max”. Want to check it out now? Get the trial setup file here: https://www.mailextractormax.com/. To convert emlx to eml file format, try ‘Mail Extractor Max‘ today.